dream, and the dance all at once -- "the whole simultaneous gamut of reasoning, envisioning, feeling, and vibrating we go through when we are really taken up with some matter, and out of which we may act on it. We are not just thinking about whatever it may be, but savouring it and experiencing it and wrestling with it in the ghostly sympathy of our muscles. We are alive at full stretch towards it." He explains: "Poetry models the fullness of life, and also gives its objects presence. Like prayer, it pulls all the motions of our life and being into a concentrated true attentiveness to which God might speak." The poems gathered here give us a poet who is altogether alive and at full stretch toward experience. 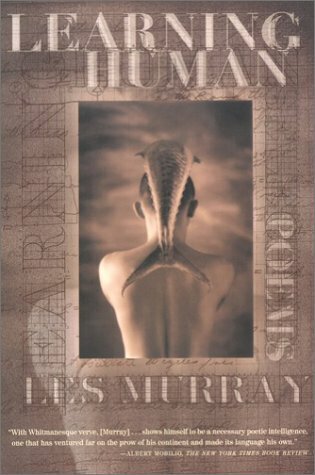 Learning Human, an ideal introduction to Les Murray's poetry, suggests the variety, the intensity, and the generosity of this great poet's work so far.